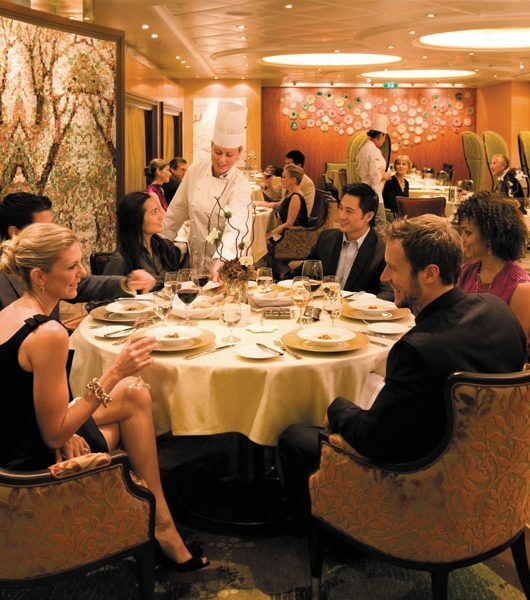 As much as your excitement would be off the charts with the activities onboard, it can be exhausting too. So we have made you a guide that gives you information on everything onboard. If you plan it right, there is no way you wouldn’t be able to relax as well. Spread the activities across the week and give yourself time too. To find out what is going on each day, a daily newsletter called the Cruise Compass is delivered to your cabin in the evening. A copy would also be waiting for you on your arrival. You will find the schedule for the next day’s activities and entertainment offerings, as well as opening hours for the spa, restaurants, onboard shops and bars. 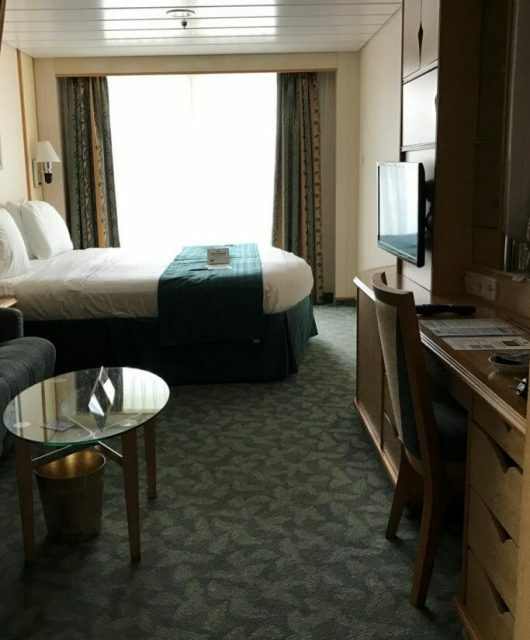 You will also find listings for onboard or in-cabin movies, information on scheduled ports of call, debarkation and embarkation information, and sunrise and sunset times. Children registered with the onboard kids’ club, will receive their own daily schedules of age-appropriate activities, as well (you as parents have nothing to worry about). And yes, we do have this on an app (because we are tech gods too). Search for Royal IQ alternative to the printed program. 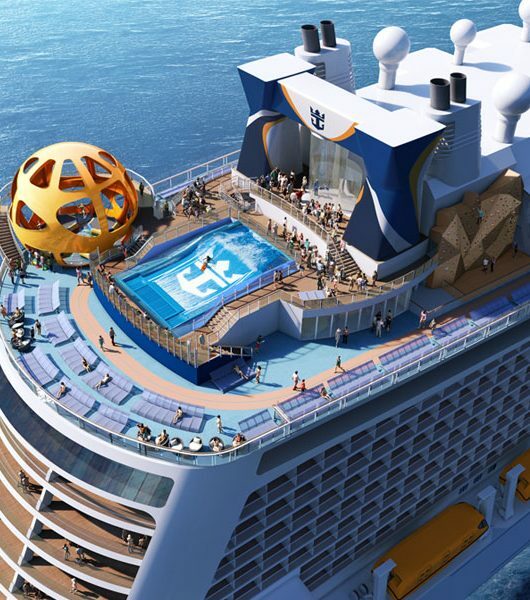 Royal Caribbean International requires waivers for the FlowRider®, ice skating, inline skating, the bungee trampoline, the Rock Climbing Wall, and the Zip Line. Not all activities are available on all ships. Activities may have age, height, and/or weight restrictions. Guests participating in the FlowRider®, for example, must be at least 52″/132 cm tall to use the body-board and 58″/147 cm tall to use the flow-board. Rock climbers must be at least 6 years old, and climbers under the age of 13 must be accompanied by a parent or guardian. Please advise the guest to check each individual activity’s waiver for restrictions and requirements. The Guest will be able to complete all Onboard’ Activities Waivers once onboard. For each person the Guest is signing a waiver for (himself and/or a minor), he/she must have that guest’s last name, date of birth, reservation number, and the name of the ship and sail date. 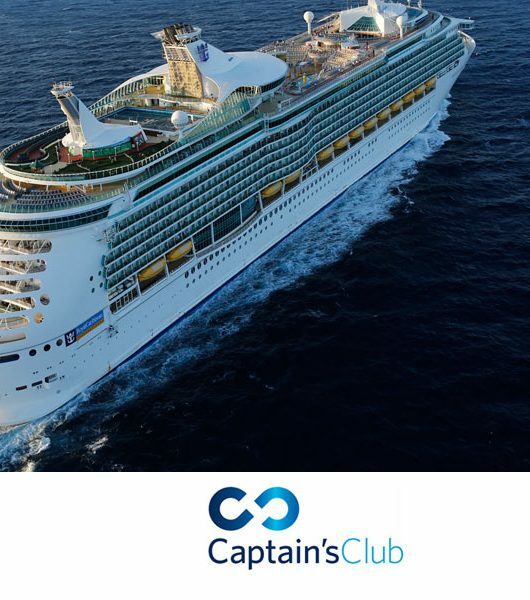 ## If the guest is sailing on Oasis of the Seas®, Allure of the Seas®, Adventure of the Seas® and Voyager of the Seas®, you may sign waivers online through Cruise Planner, up to 3 days prior to your sail date.